This is the first of several posts that will highlight different features of my forthcoming book, Bicycling Gettysburg National Military Park, ISBN 978-1-7326038-0-6 (Victor, New York: Civil War Cycling, 2019). 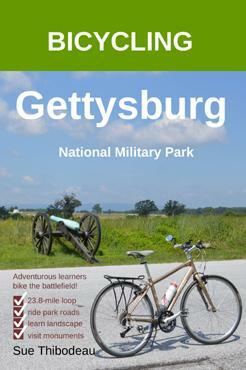 The book will help you to plan a self-directed bicycling adventure at Gettysburg National Military Park. Today, however, I share a few concepts from Chapter 1, “Gettysburg on a Bicycle,” where I emphasize that outdoor, experiential learning is much more than reading park signs and monument inscriptions. 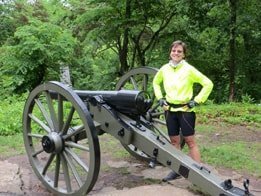 In fact, learning about the Battle of Gettysburg while bicycling the battlefield can be a full mind-body experience that helps inform your understanding of the underlying meaning of the battle. Of course, “meaning” can be a highly personal process and we may reach different conclusions. And that’s the point. On a bicycle we are active learners in search of answers that make Gettysburg relevant to your life on this day, on this bike, during this ride. It’s why I bike the battlefield many times in any given year. Bicycling provides battlefield tourists a unique opportunity to experience in our bodies the freedoms won on the Gettysburg battlefield. In great deeds something abides. On great fields something stays. Forms change and pass; bodies disappear, but spirits linger, to consecrate ground for the vision-place of souls. And reverent men and women from afar, and generations that know us not and that we know not of, heart-drawn to see where and by whom great things were suffered and done for them, shall come to this deathless field to ponder and dream; and lo! the shadow of a mighty presence shall wrap them in its bosom, and the power of the vision pass into their souls. If you’ve visited Gettysburg and walked even a small stretch of wooded ground or monumented field, you understand the feeling that Col. Chamberlain’s memorable words convey. And yet, beyond the obvious fact that the Battle of Gettysburg produced over 51,000 casualties, it is difficult to explain why we feel that Gettysburg is sacred ground. What is the meaning of all that death and carnage? We feel it first; then we struggle to explain it, sometimes over and over again (to ourselves but maybe to others). ~ Bicycling Gettysburg National Military Park (Victor, New York: Civil War Cycling, 2019), 20. In living rooms and indoor classrooms, we can discuss and intellectualize about the themes of freedom and sacrifice. But not on a bike, where physical, experiential learning (not abstraction) is the driving force. While riding on park avenues, bicyclists think about bike maneuvers (pedaling, gearing, turning, gearing). They also soak in the Gettysburg landscape (its hills, swales, breezes, and grassy aromas). This explains why Bicycling Gettysburg National Military Park is not a traditional history book. As a guidebook for outdoor, experiential learners, the book tends to the visual needs of the bicycling history buff. It provides color maps, labeled landscape photographs, and easy-to-understand descriptions of the battlefield and battlefield events of July 1–3, 1863. 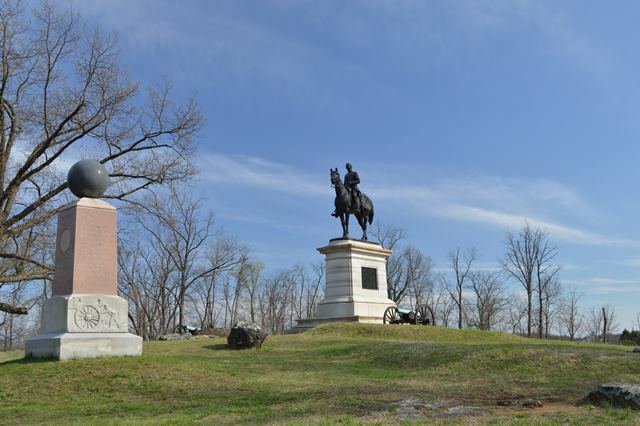 The book lets the Gettysburg landscape and its monuments teach about the Battle of Gettysburg. It is common for bicyclists to crave the thrill of riding freely and on own’s own power, in own’s own way. 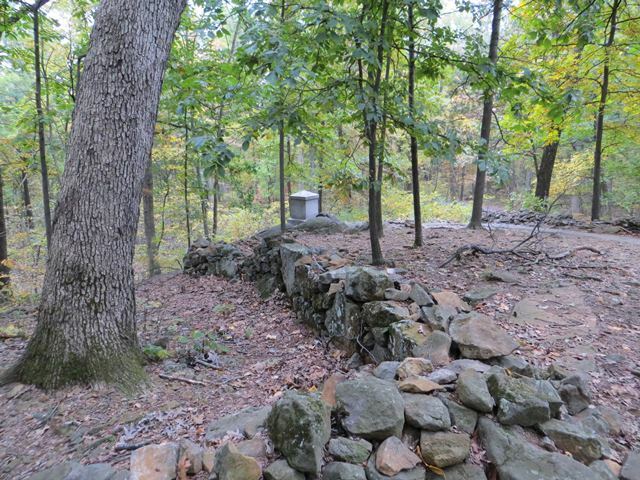 And yet the Gettysburg battlefield offers much more than a scenic ride. It rewards bicyclists with an unmatched experience of personal freedom on the very same land on which 170,000 soldiers fought. Freedom is what inspires the bicycling historian to study and ride. At Gettysburg, a bicyclist is free to set a course, and then pedal hard – as through Rose Woods – or glide along flat pavement – as through The Wheatfield or the gentle roll of Seminary Ridge. A bicyclist can also “fly” down Culp’s Hill and Little Round Top, experiencing the terrain in an exhilarating way. I have toured Gettysburg National Military Park (GNMP) countless times over the past few decades. In recent years, I discovered the thrill of bicycling the park’s 6,000+ acres, with its breathtaking mix of trees, fields, hills, and swales. Park roads wind through an “outdoor classroom” that is home to 1,300+ monuments and 400 refurbished Civil War cannons. 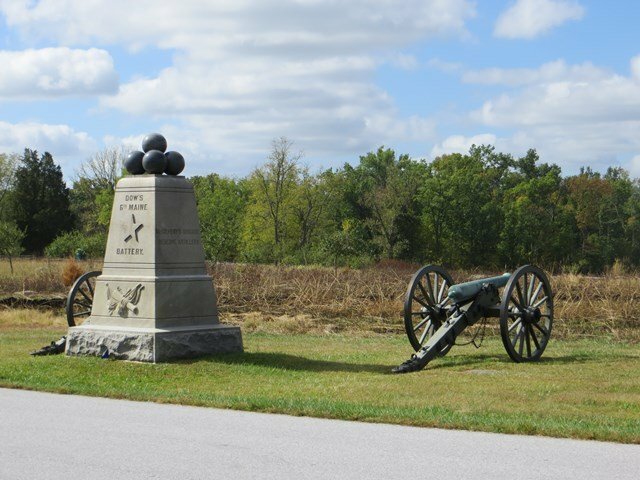 In 2012, I toured the Gettysburg battlefield on a bicycle for the first time. In Chamberlain’s words, I had “come to this deathless field to ponder and dream,” but little did I know – until I rode the battlefield – what an amazing, liberating experience it is to feel the Gettysburg landscape in my body. 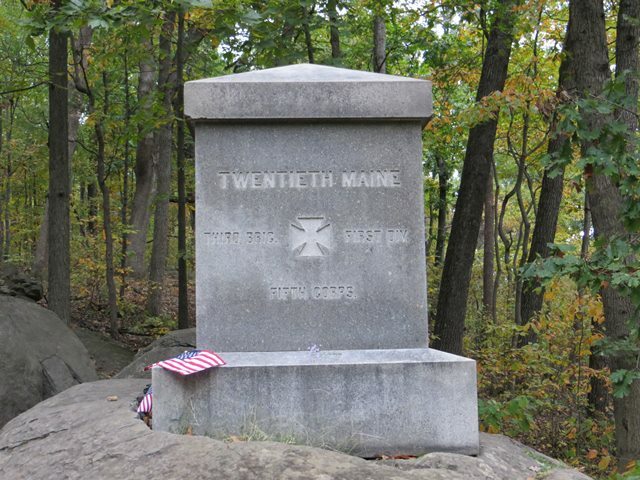 While struggling to pedal up Little Round Top or Culp’s Hill, for example, I could better appreciate the physical challenges of the soldiers who fought to claim those hills. While riding along Seminary Ridge, I could see how the land’s rise at the Sherfy Peach Orchard blocked the Confederate view of the Union line on Cemetery Ridge. The experience informed my understanding, not only of battlefield events in 1863, but also my personal connection to the meaning of those events. In other words, for me it was all about enjoying the freedom born of physical sacrifice. Act today! Purchase a digital version of a Gettysburg bicycle route. The guidebook, Bicycling Gettysburg National Military Park, will be available for purchase on March 11, 2109. Digital companion maps are available for immediate sale and download as PDF files. Please visit “Selecting Your Gettysburg Bicycle Route” for short descriptions of fourteen bicycle routes and links to the Civil War Cycling shop. There you will find pages for purchasing Gettysburg Digital Map Bundles and individual Gettysburg Maps. This entry was posted in Gettysburg and tagged patriotism, products. Bookmark the permalink.